SUPERPROD Films develops and produces animation and live-action feature films and operates its own animation studios in Paris and in Angoulême. SUPERPROD Films also has an office in Los Angeles. SUPERPROD FILMS produced the animation film SONG OF THE SEA, by Tomm Moore, with Cartoon Saloon, Melusine, Big Farm, Norlum. The film was nominated for Best Animated Feature Film at the Oscars and Cesar and won the Best Animated Film Award of the European Film Academy. SUPERPROD FILMS recently produced the animation film WHITE FANG, based on Jack London’s novel, with Bidibul and Big Beach, starring Nick Offerman, Rashida Jones, and Paul Giamatti. WHITE FANG was selected for the 2018 Sundance Film Festival, TIFF Kids and NYC International Children’s Film Fest. It will be released theatrically in 2018 in Europe and was acquired by Netflix for a number of territories, including the US, Canada, Latin America, Asia and Japan. SUPERPROD FILMS is also developing a slate of ambitious animation movies including an animated version of Charlie Chaplin’s masterpiece, THE KID, directed by Rupert Wyatt (Planet of the Apes, the Origins) and Christian Volckman (Renaissance), and a theatrical adaptation of CALIMERO. On the live-action side, SUPERPROD FILMS produced JAILBIRD by Audrey Estrougo starring Sophie Marceau, and DEAD MAN TALKING starring Virginie Efira and François Berléand, which was nominated at the 2014 CESAR Academy Awards. SUPERPROD FILMS is currently developing the teen drama STARLETTE, directed by Audrey Estrougo, the feel good movie BURNT OUT based on Gilles Legardinier bestselling novel and, with M6/SND, JOKER JOE, a family movie based on the bestselling comic book series by Thierry Coppée. SUPERPROD also produced the adult animation movie CAFARD directed by Jan Bultheel and starring Benoît Magimel, Jean-Hugues Anglade and Julie Gayet. 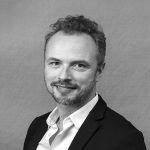 Clément Calvet has twenty years of experience in audiovisual production, first as entertainment lawyer, then as Producer and Managing Director for GAUMONT-ANIMATION (formerly ALPHANIM), before founding SUPERPROD in 2010. 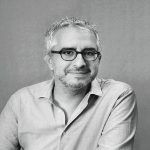 After graduating from ESSEC MBA, Jérémie Fajner dedicated himself to the media sector, first for France 5 et Arte TV channels and then for GAUMONT-ANIMATION as Director for Business and Legal Affairs, GAUMONT as Head of Production Financing, before being appointed Deputy Managing Director of GAUMONT-ANIMATION (formerly ALPHANIM). Together, Clément Calvet and Jérémie Fajner have produced over 25 series for TV (around 400 hours of programmes) sold in over 120 countries, such as Lassie, Geronimo Stilton, Galactik Football, Robotboy, Cooking ? Child’s play !, Franklin,… and 7 feature films: Franklin and the turtle lake treasure (2007), Eleanor’s secret (2009), Santa’s Apprentice (2010), Dead Man Talking (2013), Song of the Sea (2014), Cafard (2015). Jailbird (2016). Gathering partners such as France Télévisions, M6, TF1, Canal +, Disney Channel, Cartoon Network, Super RTL, BBC, RAI, Orange Studio, OCS, Cinéfrance, Studio Canal, Haut & Court, Telepool,… most of those programmes are international coproductions, with partners in the USA, Canada, Germany, Italy, Luxemburg, Ireland, Belgium, The Netherlands, Australia, Sweden, China, India, etc.